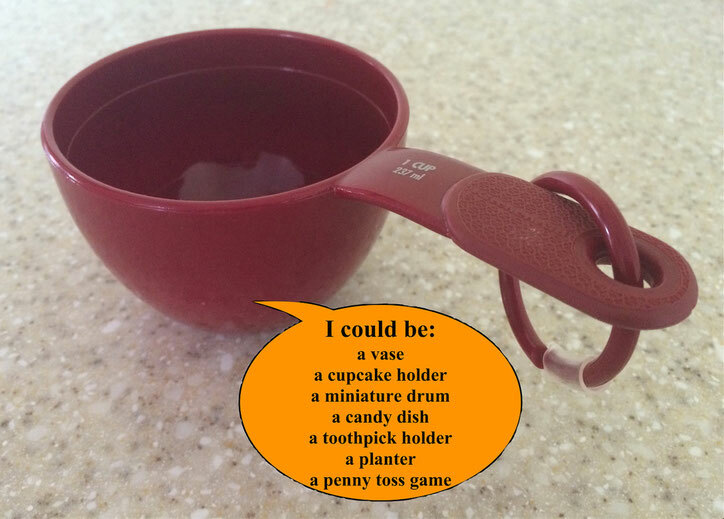 The following warm-up uses an everyday object, a measuring cup, to encourage students’ creative thinking. It is adapted from Gilford’s Alternative Uses Task (1967) in which participants list as many possible uses for a common house hold item. The warm-up develops fluency, which is the ability to generate new ideas. Fluency, along with flexibility, originality, and elaboration are behaviors often associated with creativity. List all the things a measuring cup can be used for (other than to measure ingredients).